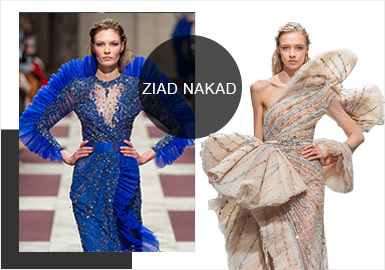 Ziad Nakad's haute couture dresses are charming and impressive. 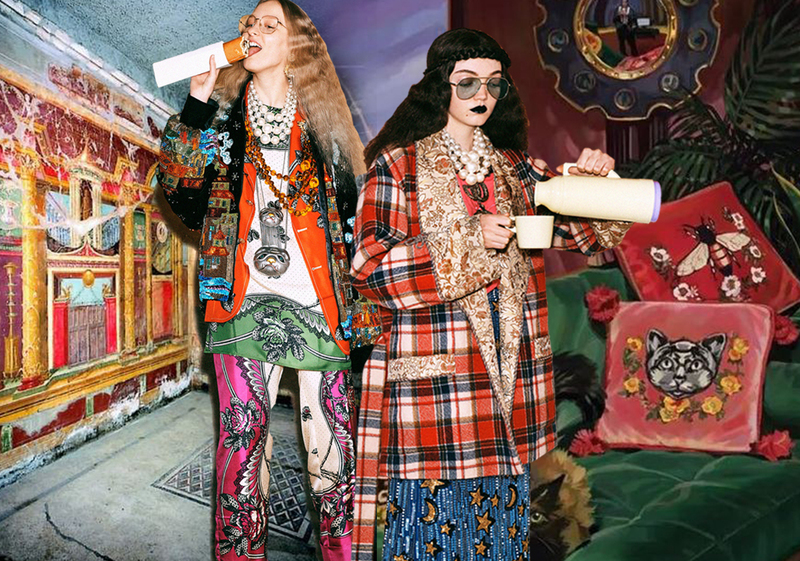 There are aesthetic collection, goddess collection and floral collection. 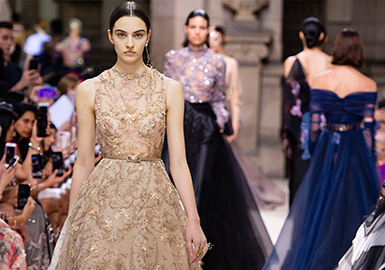 Elie Saab's 2019 S/S collection in Paris Couture Week is romantic and impressive. 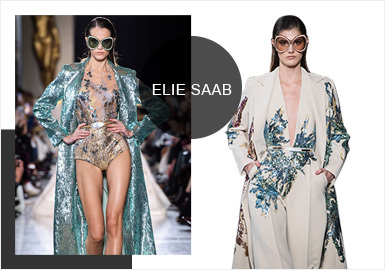 Irregular-shaped sequins on high-split yarn-mixed dresses and flowing chiffon dresses are like stars. Neat suits are of British style. 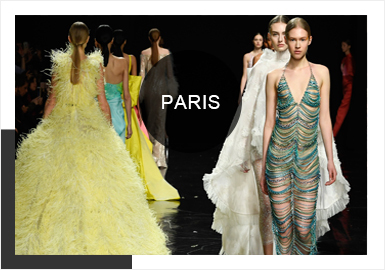 Colors of spring and summer like red, blue green and beige decorate the whole collection. Luxury champagne and elegant royal blue are refreshing. Complicated embroideries and subtle pleats are used a lot. Large hem is appealing. 3D flowers are interesting; metal accessories are eye-catching. 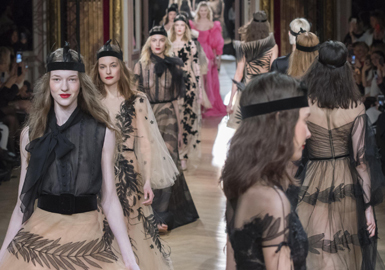 Handcrafted 3D flowers and embroideries hit the Paris Haute Couture shows. This report is all about layered lace flowers, paper-cut design, large 3D flowers, delicate embroideries, sheer florals, colorful embroideries and cotton threads. 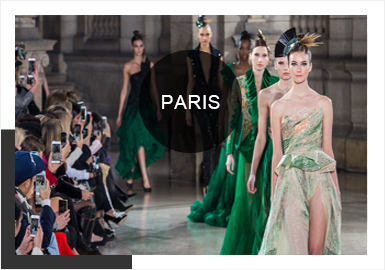 The application of beads is highlight in the Paris Couture Fashion Week. Extending the edge of the flat collar for a ruffled neck, looking like lotus leaves. 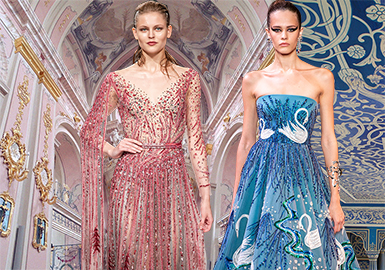 In a summary of the hottest catwalk styles in Moscow, we point out the key message from the view of color, style, fabric, crafts and patterns.